Alan Knott-Craig: Globalising Herotel. Dreaming Big. Is there any other way? I’m with Alan Knott-Craig Junior, sitting here in the Paddington Station. You’re about ready to go back to South Africa. Yes, I’m flying in about 6-hours. What were you doing over here? I just popped in for two days. We’re considering investing in a business in the UK, from South Africa. 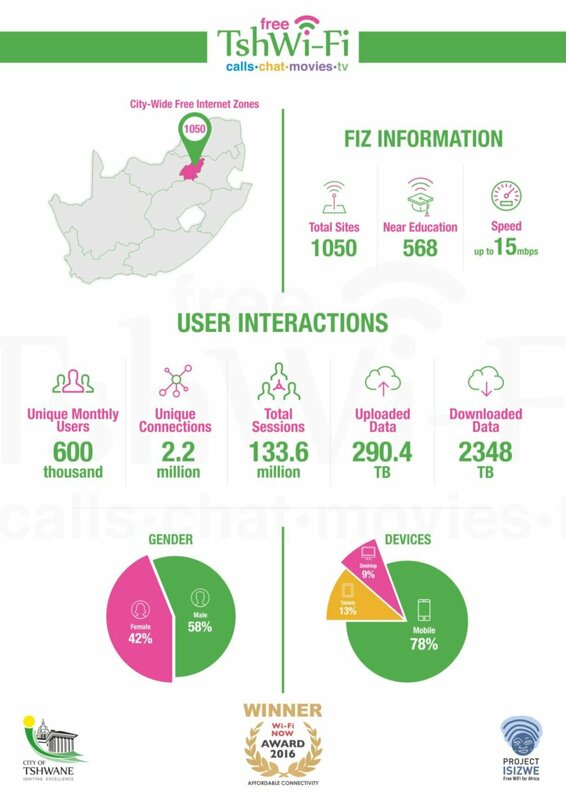 Well, as I’ve mentioned before, Hero Telecoms in South Africa is going pretty well and the whole idea behind that is we try to consolidate the wireless internet service providers, add a bit of magic sauce, and build a big, kind of Wi-Fi Telco, without having to start from scratch. The model has become so successful in South Africa that we’re considering exporting it, in effect to the UK and there’s little WISPS that we’re talking to here that could be our first deal. It’s a great opportunity with South African skills and South African innovation, with a high level of education or educated staff that one finds there, relatively low costs to come into a market like this. Where the numbers are big – you multiply it by, even at the moment, R17 to the Pound. You don’t need a whole lot of profit to make that into proper numbers. Exactly, we are playing in the internet space and internet is about data and data, in my opinion, the lowest cost provider will win the global race. That’s just how it is. Now, in a country like the UK, where there’s so much money washing around it’s not that important to get costs down but in South Africa, 50% of the market can only get on the internet, if you keep your costs down. That’s why our industry is advancing so quickly around innovating low cost deployment models. Now, in the UK right now, there’s probably a 5–10% market opportunity, which is applicable for a wireless internet service provider but that 10% is probably bigger than the whole of South Africa put together. That’s probably enough reason to get here. So, the lessons you’re learning at home you can apply globally? Yes, I mean the main lesson we’re learning is that it’s all about scale, so you can’t really provide the lowest cost possible data if you haven’t got an enormous economy and scale, and some of the overheads you need to carry in order to deliver world-class Telecoms. They have to be spread out amongst a number of businesses and customers. The South African model is working okay. The main thing the WISPS are needing is they need the remote network management, they need centralised billing software, they need access to capital and they probably need to get their ducks together when it comes to financial management. For the rest, they’re doing everything fine, so Hero kind of comes to the party in that regard. It helps them make more money at the end of the day. 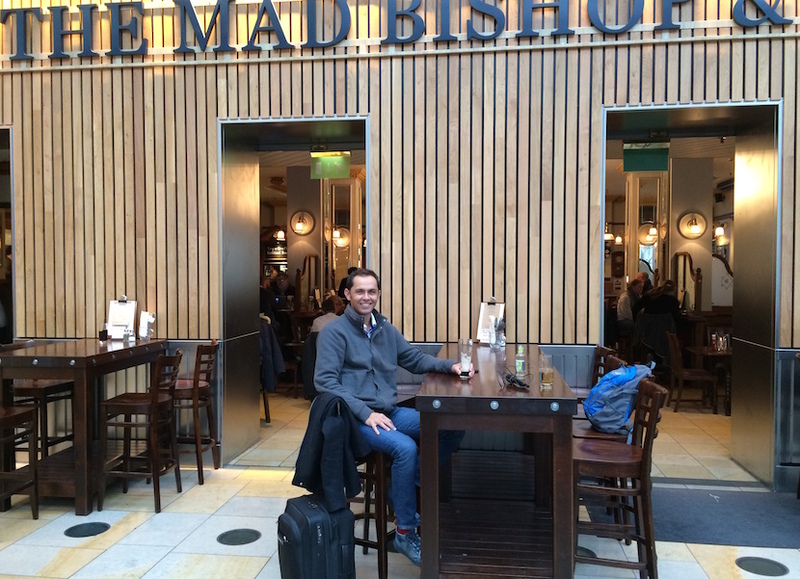 Don’t you just love these announcements coming over the back and it shows that we really are in Paddington Station and Alan has brought me to a place called The Mad Bishop and Bear. Now, you know that I don’t drink, well I suppose a ginger-ale is a soft drink. So, why did you pick a pub with this name? Well, I do think you’ve got some insanity inside you, so it’s probably not inappropriate. You thought I was the ‘Bishop’ and you were the ‘Bear,’ but Alan, the Herotel story. Last time we spoke about it, it was starting to get really exciting. You’d moved out of the NGO space, helping Tshwane, and then into a whole new business model. How much progress have you made? A WISP is Wireless Internet Service Provider. It’s a local business that’s figured out how to connect people to the internet cheaply and make a 40% margin. We’ve got a national footprint now, excluding Free State, Northern Cape, and parts of the Eastern Cape. From 2014, very humble beginnings, we’ve managed to build a pretty big business and we’ve got some great partners. The original idea was to copy the Capitec pay book. Instead of trying to build a bank from scratch. Capitec went around, found a whole lot of loan sharks and micro-lenders, gobbled them up and got into a critical mass. Standardised them, rebranded them, and overnight you had the fifth biggest bank in the country and, in a sense that’s what we’re trying to do for Telecoms. Take all these small wireless guys, help them make a bit more money, eventually rebrand them and create one of the biggest Telco’s in the country. It reminds me of a wonderful piece that Malcolm Gladwell wrote about the real winners of the Industrial Revolution. Now, we’re in a Fourth Industrial Revolution, that they talk about now. He said the winners were those who tweaked, so they found a model that somebody else had used and then applied it into a different business sector. The Capitec model – where else do you get inspiration from? Well, one of my biggest inspirations is 3G Capital. The story of the Brazilian entrepreneurs that built the world’s biggest brewing empire. They just bought SABMiller and what I took out of that is if you can create an internal incentive structure and culture of ruthless autocracy and attract people who want to get ahead – make money and get ahead. You can just win through a compounding effect of hard work and you always have to keep your overheads down. The one hard thing, as a business grows, is every year your insurance increases, your salaries increase – everything increases but the 3G Capital guys realised that you’ve got to clip the toenails every year. You’ve got to keep looking at all those expenses. Renegotiate your insurance – don’t get lazy on your overheads. It’s your overheads that will kill your business. What we’re trying to do in Telecoms is take their low-cost brewery mentality, which is really the magic they add to Budweiser in there, and apply it to Telecoms and ultimately be known as the 3G Capital of Telecoms. Reliably going in, giving a bigger return on value without having to rely on shooting out the stars. The book, and it was one that Warren Buffett recommended at an AGM a few years ago, is called Dream Big, so how are you dreaming big? Well, the really big dream would be to build the biggest Wi-Fi company in the world, so if a company like SABMiller can build a global business from South Africa. If a company like Rembrandt can build a global business in the 50’s from a small town like Stellenbosch. We’ve got such great success stories that have come out of South Africa. Discovery is doing it now. Nando’s is doing it. We can probably do it for Wi-Fi. Whether we win or not, that’s a different question and it’s a hell of a big dream, but if you don’t dream really big you’ve got no chance of making it. It is a book that I think many people now need to pick up – Dream Big, written and the story of 3G. Many South Africans of your age group have come to the UK. Some of them stay, some of them go back home. You’ve never really put that on your agenda. You’ve always wanted to live in the homeland. Yes, I’ve been very lucky to have travelled a lot in my life and the travelling is what makes you appreciate what you’ve got back home. I’m all in for SA, I don’t have a Plan-B, I don’t have another passport. I’m as worried as any guy with the general political environment but if you look at most countries in the world – everyone is kind of worried, so for me, I think we’ve got a hell of a positive future ahead. I think we’ve still got a lot of upside left in the economy. As the internet gets more rolled out you’ll have more participation and what really excites me in a country like South Africa, is this feeling of uncertainty. People don’t really know what’s going to happen tomorrow. People are feeling nervous and that’s the time to get ahead. When everyone is having second thoughts of going in another direction, put all your chips on the table and go for it. That’s what we’re doing at Herotel, and I’m personally, committing myself to South Africa for the foreseeable future. So the Zimbabwe option doesn’t ring any bells with you? It appears from time to time that the politicians…There are politicians in South Africa who would take the country in that direction, if they were allowed to. Yes, well I really hope we don’t go down that road. I do think the big fundamental difference between South Africa and Zimbabwe is we have a very big middle class, in gross numbers and as a percentage, and today the black middle class in South Africa is bigger than the white middle class, so that’s a very different scenario to what Zimbabwe was. So, can we go down that road? Yes, I suppose anything is possible. Will we go down that road? I really don’t think so. I think the independent media in South Africa keeps the Government honest, to a certain extent. I know a lot of people in the ANC and, also in the DA that are in it to make a big difference. They’re the right kind of people. They’re the kind of people I’d be proud and confident of running the country. If I look at the micro level of what’s going on it can get a little bit negative but if I take a step back and think of the macro view – I think South Africa is a bit like America. Maybe America is going to have Trump for a couple of years, and that’s not going to be fun for America but it will survive it and South Africa might have similar uncertainty and worries, but the machine is big enough to survive and hopefully it’s big enough to get to the point where we can put the inequality behind us and somehow address this massive challenge that South Africa faces, which is basically racial, inequality at an economic level and unless we get around that transformation challenge – we won’t have a sustainable country. It’s also interesting that people like Pravin Gordhan have been talking inclusive growth for years. In his first stint as Finance Minister I recall him standing up in Davos talking about how we need inclusive growth because without that you alienate half your population. Not only do you only have half the growth potential but you’re looking for troubles down the line. That’s something that maybe not all South Africans have yet to understood. Well, you’ve got to be pretty blind to live in South Africa and look around and think everything is fine, and everyone has got a fair shot at life. If you’re born in the wrong postal code in South Africa, your opportunities are just going to be very limited. Whereas if you’re in the right postal code, it’s like being born in Switzerland versus being born in Venezuela. I think we have a working redistribution system right now. If you think about South Africa’s tax rates. They’re not high, compared to say the UK, and yet we’ve got a much higher ratio of welfare dependents versus taxpayers. So, if you think about the efficiency of our system, of taking tax money, providing a safety net for everybody else – it’s actually working quite well. But it all depends on economic growth. Like you have to keep growing the pie fast and you’ve got to grow it faster than the population growth. I don’t know how to make a big difference around that. It’s very difficult to be worried about something that you don’t have control over. Where I can influence things in my small, little way is throw internet access in poor communities. Project Isizwe, the NGO we started all those years ago, is really about ensuring that I can live in South Africa for the rest of my life because it’s about giving everybody an opportunity. Not just my kids, who already have all the opportunities in the world, and the way to give people opportunity, the easiest way, in my opinion. Whether it’s access to textbooks, or the best teachers in the world, or an access to a job or the ability to start a business online – is to give people superfast internet for free and just get over the fact that it doesn’t have to be paid for. Some peoples mindsets around if you can’t afford the internet then you shouldn’t have it. It can only be somebody who doesn’t use the internet that says that. Anybody who’s ever seen their kids with the internet or got addicted to the internet themselves will understand that if some poor person, who’s already got some challenges in their life, also has the challenge of having to pay money to email their CV to apply for a job. It’s just ludicrous. So, for me, my small contribution is to somehow influence the Government’s policy in such a way that internet access becomes a basic right like water and electricity. That, in itself, will help the country’s future be positive. What about how the internet gives poor people an access to MIT professors, do they get that? Is there that kind of take up on the free internet service or free Wi-Fi that you’re giving? Our project, as the Tshwane Free Wi-Fi Project that we’ve been part of that and I wouldn’t say it’s our project. It’s the City of Tshwane’s project and we’ve just been very lucky to be involved but it does 300-thousand logins a day and there’s been zero marketing ever. You don’t have to tell people how to use the internet. If you’re over 40, maybe you’ve got to sell people the internet but if you’re under 40 – we’re talking about a drug that doesn’t kill you. It’s tik but healthy. You can’t keep kids off the internet. You can’t teach them about the internet. You can’t do anything. You just unleash people and the internet takes care of itself. Is it being used for empowering purposes, education? The kids that want to get ahead use the internet for empowering purposes. The kids that don’t want to get ahead are using the internet for YouTube and watch music videos. So, yes, maybe there’s a percentage of the population that are really using it as a tool and maybe there’s a percentage of the population that are just using it as a distraction but even as a distraction it’s better than getting into gangs, drugs, or booze. So just as a form of entertainment in a poor community, it’s doing a positive thing but I don’t think everybody in the world wants to get ahead. I don’t think everybody wants to do well at school and not everybody wants to make a lot of money. The tragedy is when somebody who does want to do all of the above, and doesn’t have access to the internet, which could have unleashed their own potential. And today they do, at least in Tshwane. In Tshwane they do. I mean 15megabits per second internet is pretty good. There’ll be probably a little riot if the internet goes off. So, all was fine but with the load shedding last year the way the City of Tshwane would find out where the load shedding was, was when people complained about the Wi-Fi not working. It wasn’t the lights going off but it was the fact that they couldn’t use the Wi-Fi. So, yes, the Tshwane model has won a couple of global awards. Hopefully it gets adopted by other cities in South Africa but it’s alll premised on low cost Telecoms deployments. If you’re going to roll things out the way British Telecoms and the guys do traditionally, a country like South Africa will never be able to give everybody access to the internet for free. So, we have to innovate in South Africa around low cost internet deployment and Tshwane already has done that. Why haven’t other cities followed? Well, the cities that have followed are cities like Singapore. Countries like Norway, South Korea, Seoul, and it’s just such a different economic gain. Like your high income per capita – everyone is living close to one another. A country like South Africa, with a pretty low income per capita, and a distance of 2,000kms from Jo’burg to Cape Town with nobody in between. The economics don’t make sense for sweating fibre, etcetera. So no emerging market has actually solved the problem of universal access to the internet. South Africa is the one that’s leading the way, definitely Tshwane is leading the way for a city of its demographics, it’s the world leader right now for a solution. In my opinion, which might be wrong, but my opinion is the solution will be a bit like transport. If you can’t afford a car the Government is not going to put a car in your garage or a bus stop in front of your house but it will make sure you can walk from your house to the nearest bus stop. If you can’t afford the internet the Government is not going to put fibre into your house or make 3G free everywhere but you can walk from your house to the nearest superfast free Wi-Fi site. On that model, it’s affordable to South African Government to make every, single citizen able to walk to their nearest free Wi-Fi zone. Has Tshwane been such a success. It’s had global awards. Why not Johannesburg? Why not other parts of the country following the model? Do you have any insight into that? It comes down to courage, in my opinion. You need to have political leaders with courage. Partly, it’s also about understanding the internet and wanting it. I don’t believe there are a lot of political leaders in South Africa that don’t really want to make a difference, you know. But maybe some of them don’t fully appreciate how powerful the internet is because they don’t use the internet much. Fine, but even if you do, you still need guts. There’s so many budgetary pulls and pushes, a Municipality at a Provincial level, and a National level, to have the guts to take money and push it into access to the internet. Tshwane – that’s what the former Mayor of Tshwane had, he had guts, he had courage – the Executive Mayor Ramokgopa and if I think back to the risks he was taking (three-and-a-half years ago) by pushing this new mandate, this new kind of…It was innovative. It wasn’t about the quantum of money. It was just the way they were trying to do things. More political leaders in South Africa would need to have the courage to kind of aggressively pursue free Wi-Fi within walking distance of all citizens, for more cities to follow the Tshwane model. Alan, just as a summary. You remain very upbeat, you have the South African flag tattooed all over your body, as ever. What is making you this excited about the country? Well, it’s a lot easier being excited when you’ve got Brexit in the UK and you’ve got all the stuff happening in the States, and Brazil and Russia and everybody is kind of struggling, so it doesn’t feel like there are too many options. 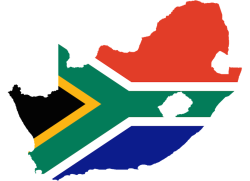 My fundamental premise about South Africa is that somehow, through all of its ups and downs, and its tragedies and it’s like shooting itself in the foot, it’s come through – the system works. It’s got the inequality that the world faces, South Africa is a microcosm of that and somehow, we’re making it work. People are paying taxes. Not like hiding like the Greeks hide from the taxman. We pay our taxes and those taxes, for the most part are being redistributed in such a way that the money stays in the country. It doesn’t end up in a Swiss bank account and it creates a safety net for 13-million households, and that kind of model seems sustainable to me. 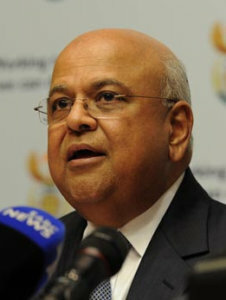 The only real question I have about the future of South Africa is whether we keep growing the pie, so economic growth. Economic growth will solve education problems, it will solve healthcare problems, it will solve political problems as well, it will solve every problem, if we keep growing the pie. The one huge untapped stimulus we have for economic growth in South Africa is broadband, and we’ve only got 30% of South Africans who truly have fast broadband, so you take another 70% of those guys and you put them on the internet and you apply the World Bank statistic of for every 10% broadband penetration – you get 1.28% GDP growth. We’re looking at about 10% of GDP growth that’s just latent and untapped. Just that, unleashing that power – for me, it would ensure the positive future for South Africa. https://www.herotel.com/wp-content/uploads/2017/06/HeroTel-logo-Invert-520x520-v2.png 520 520 Jovana Harkhu https://www.herotel.com/wp-content/uploads/2017/07/HeroTel-Logo-Blue.png Jovana Harkhu2017-02-13 07:23:102018-05-13 13:48:26Alan Knott-Craig: Globalising Herotel. Dreaming Big. Is there any other way?